Portfolio containing a suite of nine etchings. Printed on Rives heavyweight paper. 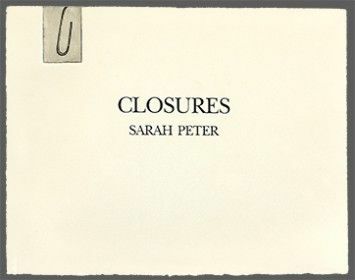 Images of the condition of being closed, such as a shoelace tying up a sneaker or an envelope enclosing a letter. In addition to portfolio, some prints are available in various sizes, framed and unframed. Prices range from $100 to $625.